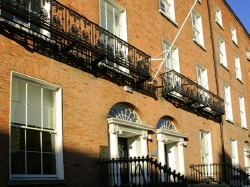 Ireland World Investments (IWI) head office is located in an impressive historic Georgian building on Upper Pembroke Street Dublin 2. The address lies within the commercial district of the capital and means it offers excellent business connections to the diverse enterprises of Dublin. With many financial and IT enterprises already operating successfully, the area around this location puts Ireland World Investments (IWI) at the very heart of business and commercial life.